Burnt Hills Baptist is a proud member of the American Baptist Churches of New York State. We have been serving families and individuals from Clifton Park, Scotia, Charlton, Ballston Lake, Malta, Ballston Spa, and Burnt Hills for over 225 years. 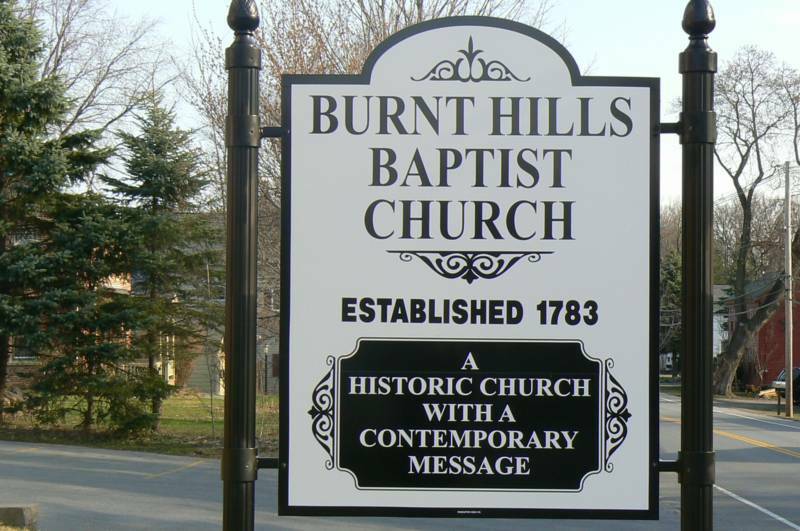 Our purpose as the Burnt Hills Baptist Church is to advance the Kingdom of Jesus Christ through the public worship of God, Christian education, missionary endeavor, community social concern, and consistent Christian living by its members. As a congregation, our heart reaches out to new people. We welcome you to come and join us for worship, become involved with our fellowship, and take part in our mission. Sunday Adult Bible Study: 9:00 a.m.